I love contemporary art, but these recent sales point out a great frustration. Imagine what people with this kind of money could do by donating a fraction of their budget to helping the organic industry. 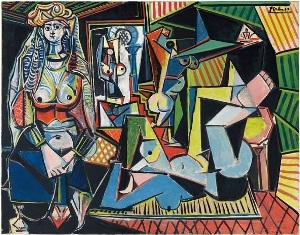 Picasso’s “Les Femmes d’Alger (Version ‘O’)” sold for a record $179.4 million with fees at a Christie’s auction on Monday.